The centre is located in an area of outstanding natural beauty on the edge of Exmoor National Park. 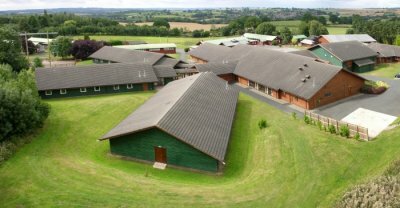 It has a fantastic range of on-site facilities that includes: horse riding stables, a swimming pool, jacuzzi, indoor and outdoor climing walls, sensory room, and a playground . We can also try: archery, canoeing, kayaking, cycling, zipwire, challenge course, abseiling, bushcraft and the giant swing. They serve plenty of food for everybody in two dining rooms and have loads of outdoor and indoor space for good or bad weather. At the end of the day we can collapse in to their comfortable beds in one of their one, two or three bed rooms. 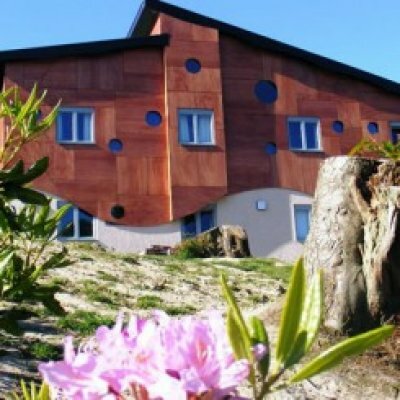 The Calvert Trust Kielder's fully accessible centre is based on the edge of both Kielder Forest and Kielder Water in the magnificent Northumberland countryside and offers the opportunity for activity, care and tranquillity for people with disabilities their families and friends. The centre offers a very large range of activities from abseiling to a zip wire. People with and without disibilities can take part in all the activities. The New Mayfair Hotel has been established for over 10 years, becoming one of Blackpool's leading hotels for people with disabilities. It overlooks the seafront and recent multi million renovated South Promenade. The Hotel is within easy reach of all Blackpool's main attractions and provides home cooked meals and entertainment packages. The 18+ group likes to visit somewhere special and this year is no exception. The group is staying at the DeCeder holiday park in Deinze, Belgium. The park is about an hour and a half drive from Calais. It has a modern hotel, where the group will be staying, swimming pool, restraunt and several acres of parkland. 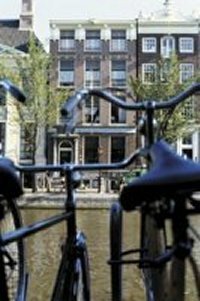 The hostel is located in a stately canal house in Amsterdam city centre. The busy hostel has an international atmosphere. Visitors from every corner of the earth meet up in the bar where a simple dinner is served in the evening. The rooms house 8 to 20 guests and you have a private locker where you can safely store your belongings. Low Mill is just outside the village of Askrigg in the Yorkshire Dales. The centre can accommodate about 35 people. It has wheelchair accessible toilets, showers and a lift. It has plenty of comfy chairs and a good drying room, ideal after a muddy water fight! A range of activities are offered such as rafting, a special wheelchair accessible assault course, rock climbing, a zip wire and abseiling. There are also pool and table tennis tables, to say nothing of playing fields and a well stocked sweet shop. Skern Lodge is located in Appledore, North Devon, where the River Torridge meets the Atlantic. Skern Lodge has a superb location, excellent domestic facilities including a heated pool, comfortable accommodation and exceptional catering. Most of the activities take place at or near the centre. The centre offers a wide range of activities such as abseiling, climbing, swimming , horse riding, treasure hunt, high ropes course, crabbing and raft building. Pensarn Harbour is located on the West coast of Wales, within Snowdonia national park . The activity centre is right on the edge of the harbour itself so many of the activities involve water and include canoeing, kayaking raft building and sailing. The seaside town of Barmouth, which has a fun fair as well as the usual range of shops, is about five miles away. The bedrooms at the centre sleep between two and eight people. It has several large function rooms and the cooks are used to cooking large quanitites of good, hot food. This outdoor activity centre is situated in several acres of fields in the Yorkshire countryside in Carlton Miniott. It is 2 miles West of Thirsk. 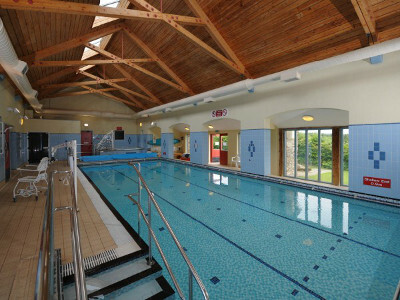 The centre has facilities for over 50 people including a sports hall, boating lake and playing fields. Carlton Lodge is ideally situated for trips to York, Whitby and Ripon as well as Lightwater Valley and Flamingoland theme parks. Dovedale is in the Peak District, not far from Alton Towers theme park and Matlock. Dovedale House itself only provides accommodation and a games room but there is plenty to do in the surrounding area. A local boating lake offers many opportunities to get really wet whist sailing or power boating. The centre is on the edge ofo the Wyre Forest in Shropshire. It's only an hour from Birmingham so we'll arrive there in plenty of time for lunch on the first day of our holiday. There are loads of activities here: caving, climbing, zip-wire, abseiling, a high-ropes course, low-ropes course, archery, raft-building, orienteering, bridge building, disco, oh, and the food's fantastic! Each bedroom has between 2 and 4 beds and there's plenty of indoor and outdoor space to relax in, when we're not asleep. Hindleap Warren is in East Sussex, about 40 miles south of London. It's surrounded by a 300 acre wood and is the perfect place to make loads of noise.